Seriously, I Just Can’t… – Dork Forty! I know I’m supposed to be posting something tonight. Some funnybook reviews, or the final part of my Fantastic Four reboot, or… or… SOMEthing. I’m just getting home from a very nice Christmas visit with my family. I haven’t touched the computer in days. 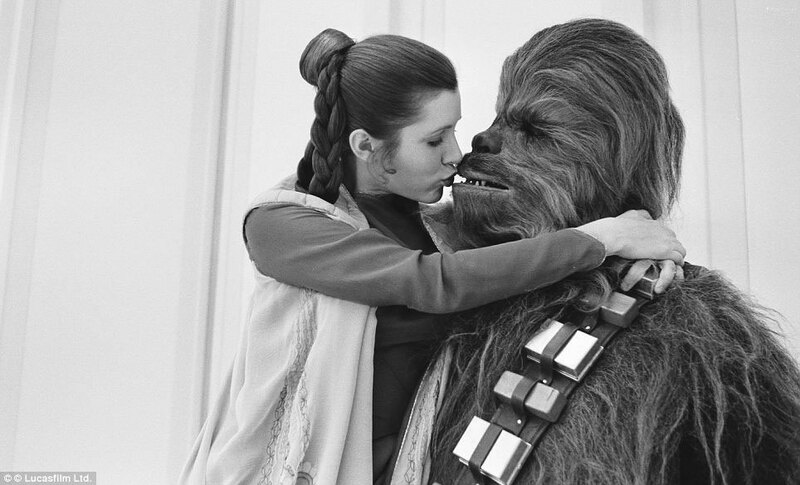 And now, Carrie Fisher is dead. So, yeah. Sorry. It’s just not happening this week, Nerd Wranglers. But, here. 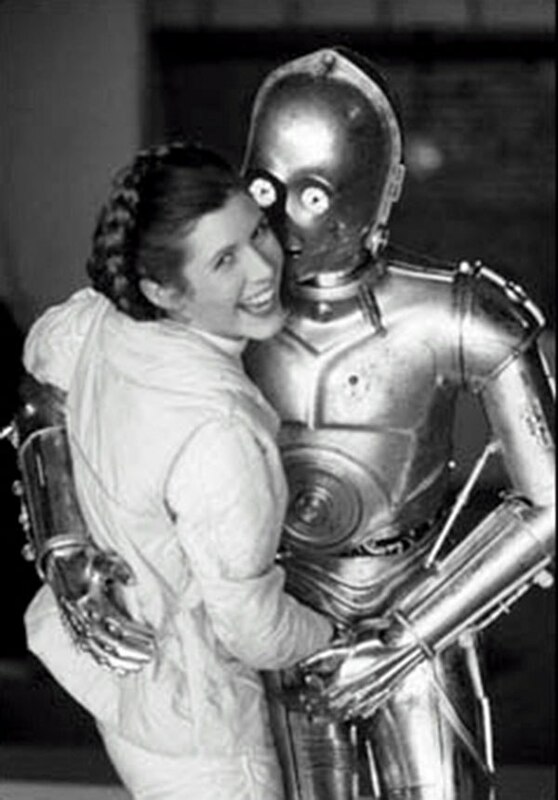 Rather than dwell sadly on her death, I think I’d rather remember Fisher as she was in life: a woman with a wicked sense of humor. 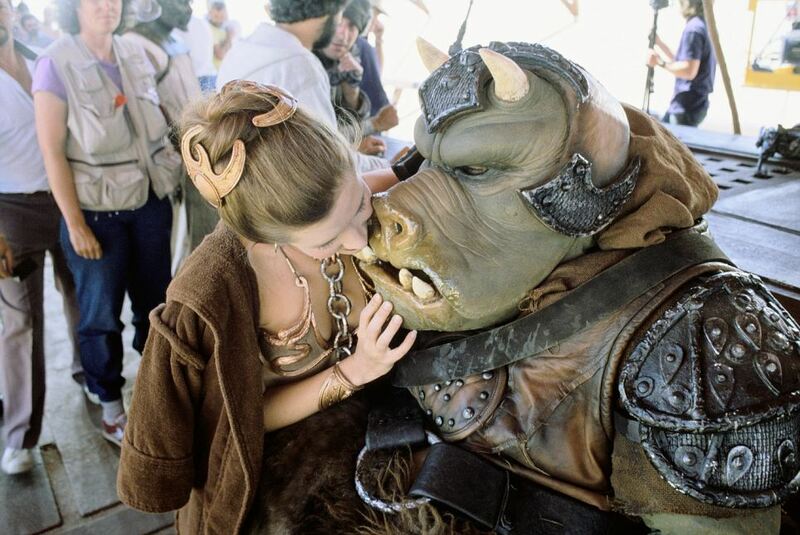 So in the spirit of that, I thought I’d share these backstage photos of Princess Leia making out with her non-human co-stars. These pictures have been floating around the internet for years, and they’ve always fascinated me on some level. But I’ve never read anything about them. I don’t know if they were a running gag on-set, or just something Fisher and the other actors would do to goof around between takes. Either way, they make me laugh, and that’s something I think we could all do with a little bit of here at the end of this bloody, depressing year. So here we go. 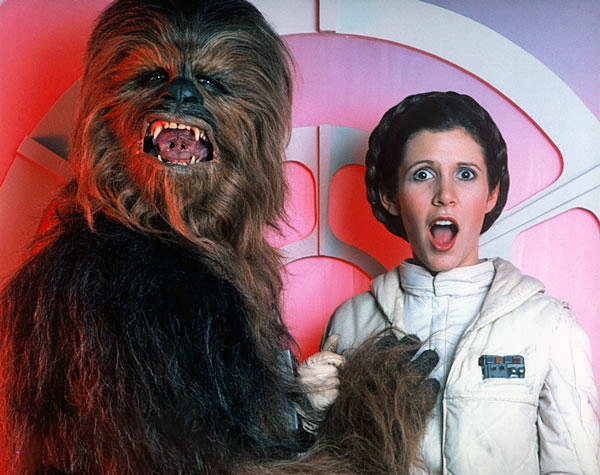 …but that’s the thing about Wookies: they tend to get carried away. …even if she was a romantic at heart. Though she could get a kinda freaky sometimes, too. About which, the less said, the better.